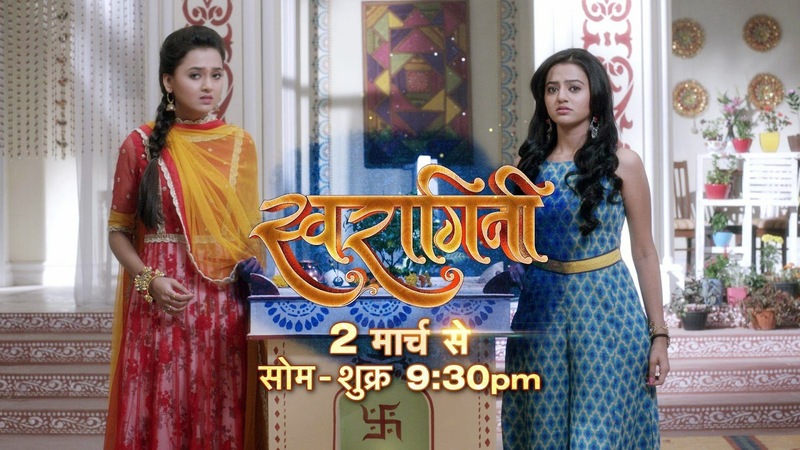 Swaragini is an upcoming television show which will soon air on Colors channel.The show is produced by Rashmi Sharma Productions.The production company is currently telecasting popular shows like Saath Nibhana Saathiya on Star Plus and Tum Aise Hi Rehna on Sony.Sachin Tyagi and Parinneta Borthakur will play the lead roles as parents to Tejaswi Prakash Wayangankar and Helly Shah. The show is an incomplete love story of two lovers,Shekar and Sharmistha.Shekar belongs to a Marwadi Family where as Sharmistha belongs to a Bengali Family.They get seperated and move on in their lifes.Both starts living individual lifes with their kids.As the time goes,their relation ship grows again and wants to complete their love commitments towards each other after many years.Why they want to break up their relation and wants to bond again forms the rest of the story. In this show,Sachin Tyagi will be seen portraying the role of Shekar who hails from Marwadi family.Sachin was last seen in Zee Tv's Ramayan as Raavan. Parineeta Borthakur will be seen opposite Sachin playing the role of Sharmistha who hails from Bengali family.Parineeta was last seen in Sab TV's Pritam Pyaare Aur Woh as Gogi. Helly Shah will be seen playing the daughter role.Helly was last seen in Sony Pal's Khushiyon Ki Gullak Aashi. Namish Taneja was last seen in Sony Tv's Ekk Nayi Pehchaan as Chirag. Nagesh Salwan will be seen as a Rich bussiness man.Currently he was playing the role of Swami Balivesh in Mahakumbh serial which is airing on Colors. Alka Kaushal will be seen playing the role of Grand Mother.She was last seen in Qubool Hai as Raziya Siddiqui and in Sony Pal's Hamari Sister Didi. Shalini Kapoor Sagar was last seen in Zee Tv's Qubool Hai as Dilshaad Khan. Dalijeet Kaur Bhanot was last seen in Star Plus's Iss Pyaar Ko Kya Naam Doon? as Anjali Jha. Abhijit Lahiri was last seen in Star Plus Yeh Rishta Kya Kehlata Hai as Mahendra Pratap Singhania. The show will go on air from 2nd March 2015 at 9:30pm time slot.Currently popular Historical show Chakravartin Ashoka Samrat is airing for one hour from 9:00pm to 10:00pm.The airing time of the show will be cut down when Swaragini goes on air.